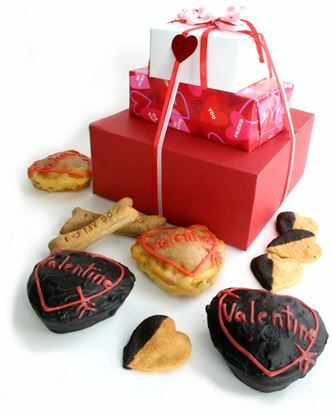 Treat your dog to a medley of our handmade gourmet dog treats that are only available until February 14th. 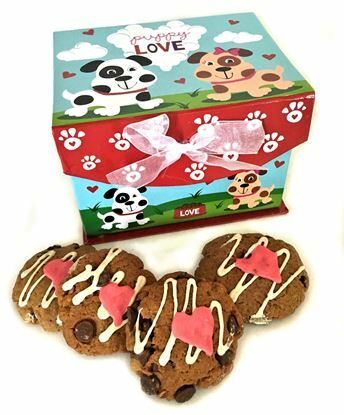 The tower consists of mini cakes, peanut butter hearts, and "love bones". 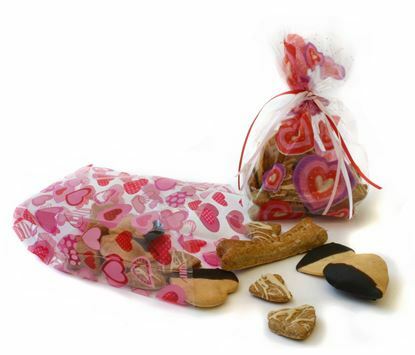 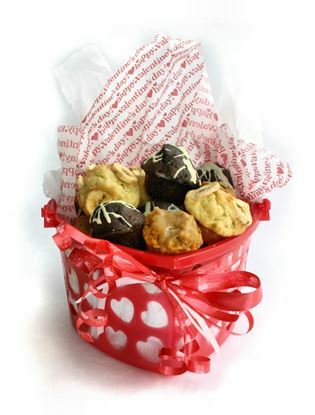 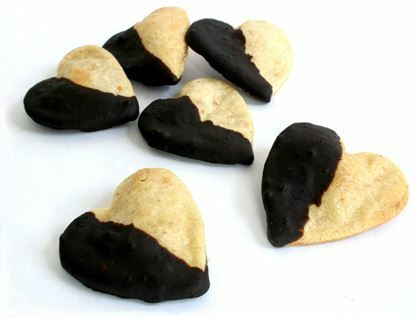 Your dog is sure to become your valentine with these heart shaped gourmet dog treats. 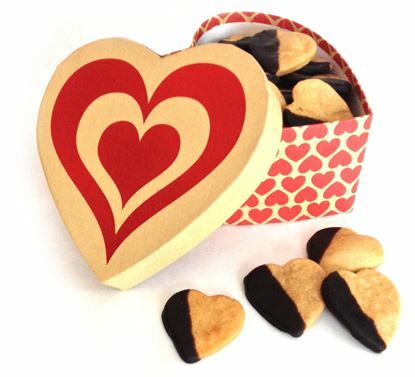 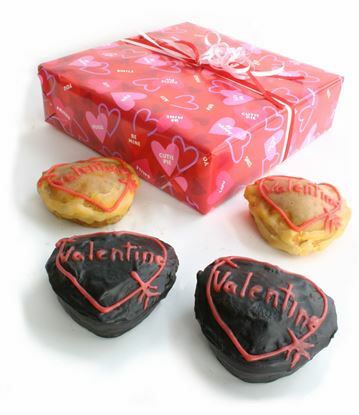 Peanut butter heart shaped cookies hand dipped in carob. 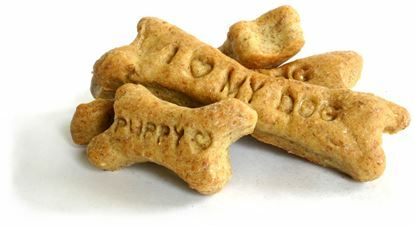 Treat your dog to a medley of our handmade gourmet dog treats that are only available until February 14th. 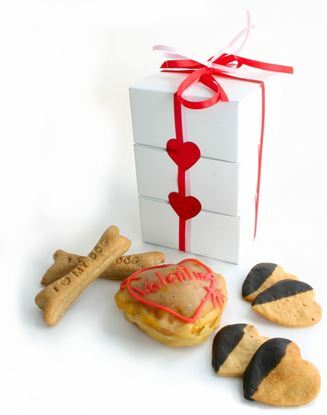 The tower consists of 3 boxes stacked and wrapped with Valentine ribbon. 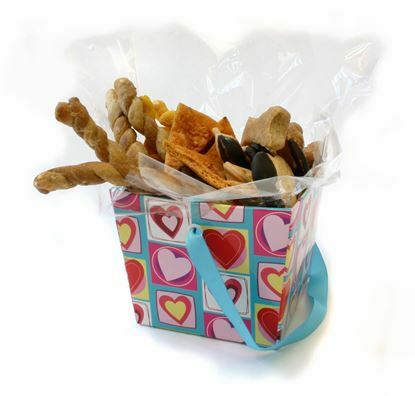 One Pound of our most popular gourmet dog treats tucked in a beautiful box.